Shan and I were in fresh fruit heaven while perusing the market in Seattle. Peaches, plums, mangoes, and of course fresh figs. Living in Saskatoon, figs are somewhat of a mystery, so when we came across them in Seattle, we had to try and bring some home with us. Luckily, we had no issues getting them into Canada, and as soon as we crossed into Alberta from Montana, we started daydreaming about all the things we could do. Fig tarts, figs for breakfast, figs in cocktails… The options were endless, and oh so beautiful! 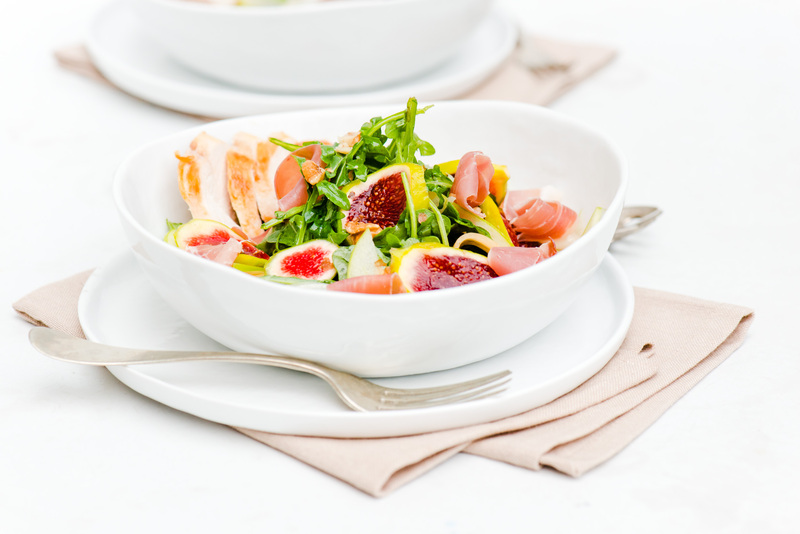 We started simple, mixing up these delicious Fig & Bourbon Sours, followed by this fresh salad, inspired by the popular combo of fig, prosciutto, and melon. 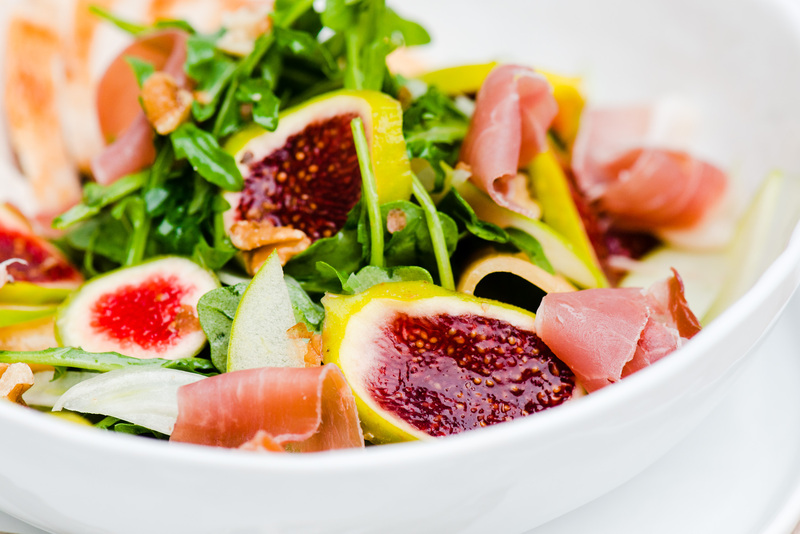 A light salad, pairing bright flavours of apple and melon with salty prosciutto, and fresh figs. Once heated, add chicken breast, cooking about 5-7 minutes on each side, until fully cooked through. Season to taste. Allow to cool slightly before serving on salad. While chicken is cooking, prep the rest of the salad. Combine olive oil and lemon juice, whisking together. Whisk in honey to your desired sweetness. 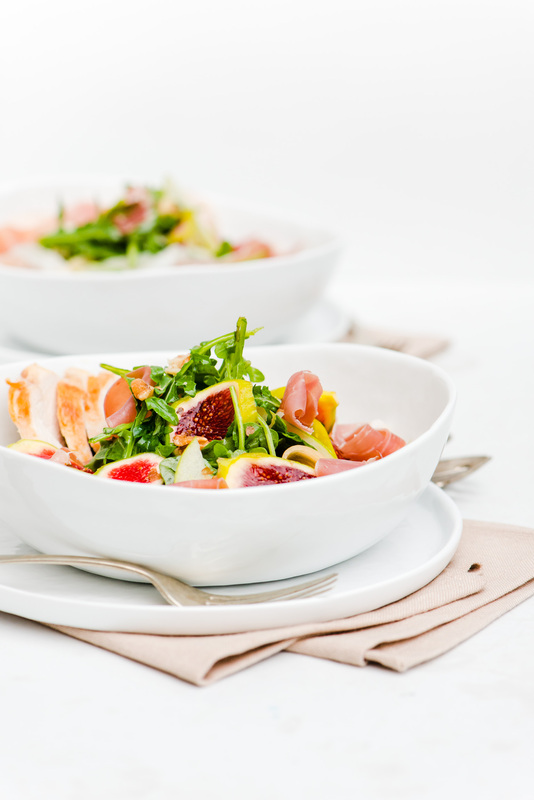 Combine salad ingredients and dressing, top with sliced chicken breast.